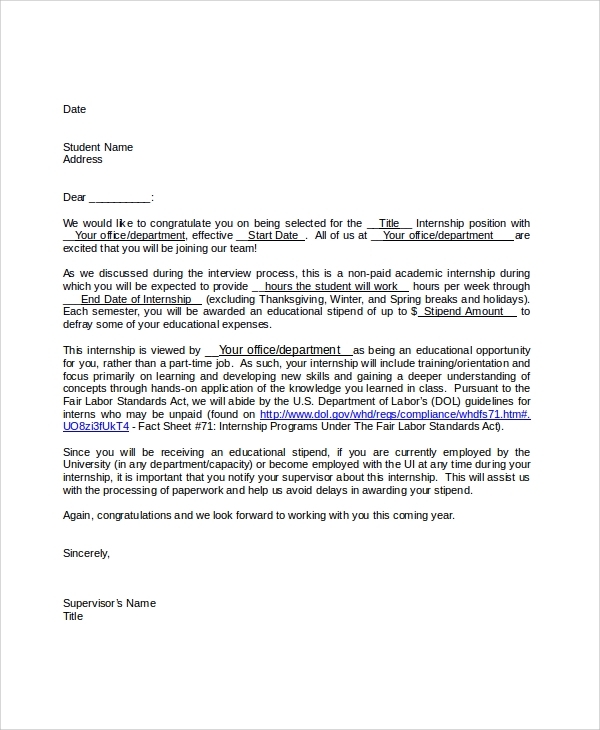 Organization or institutions that are offering internship programs should send the letter for internship acceptance to the potential candidates. 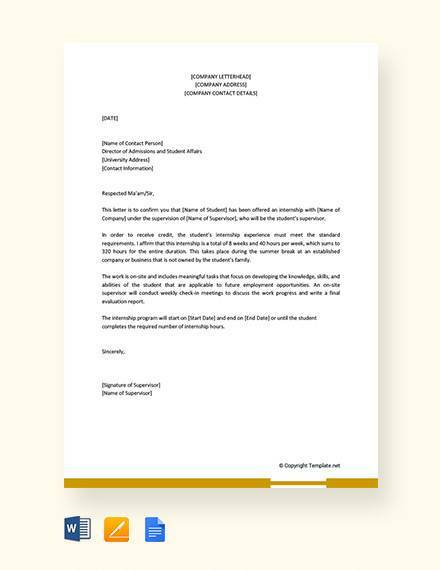 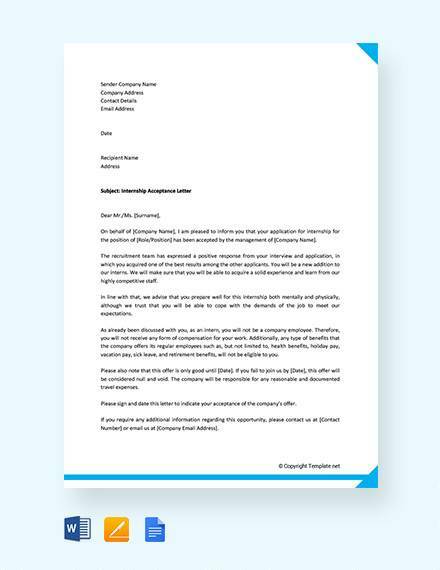 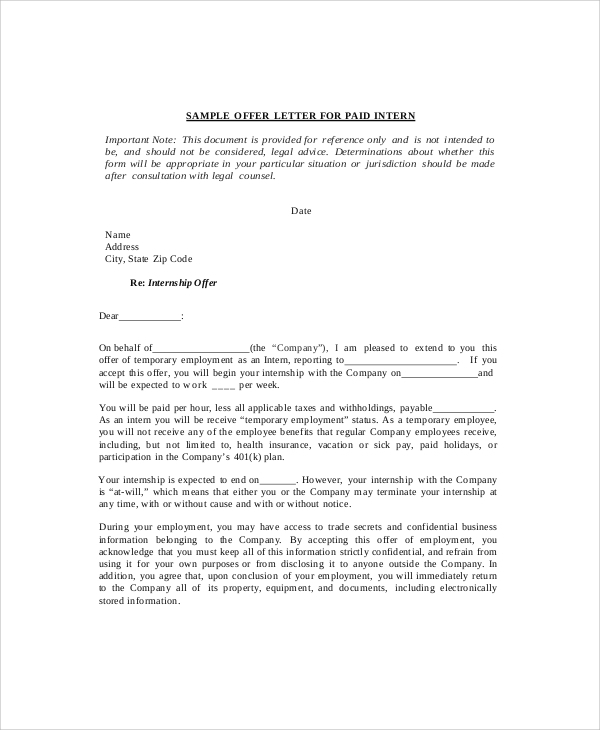 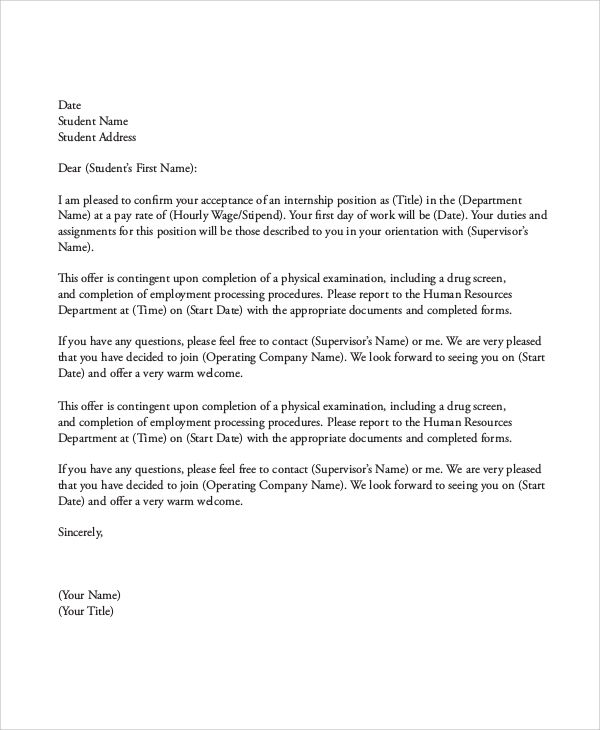 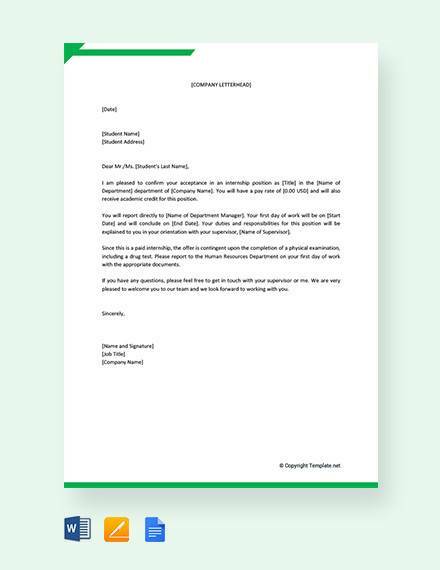 This template can be used for creating seamless internship offer acceptance letters. 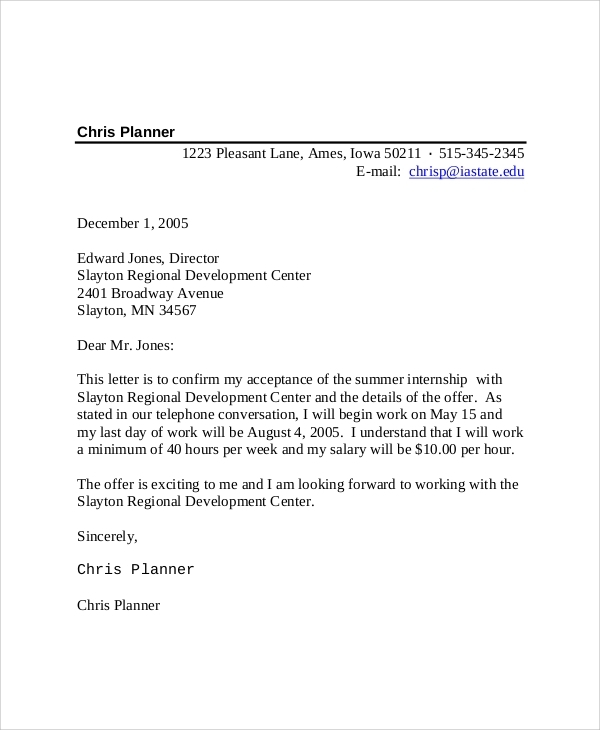 Many institutions offer internship programs in summer or for any other specific seasons. 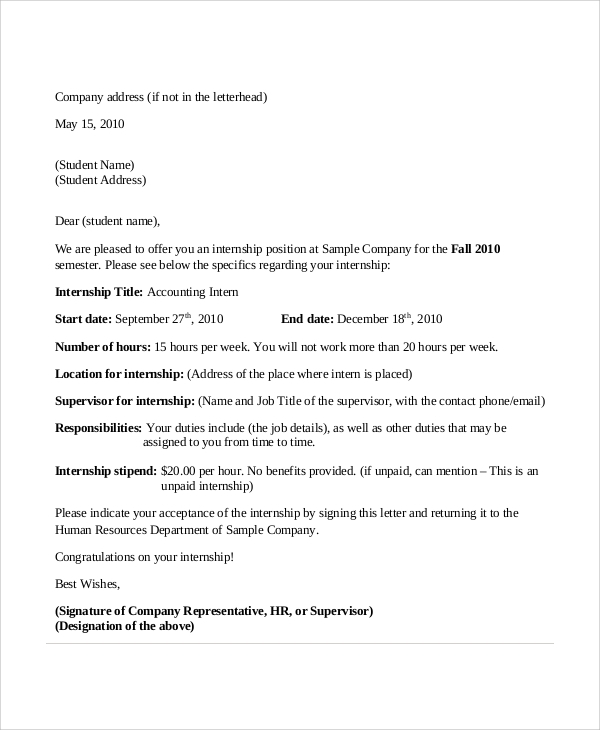 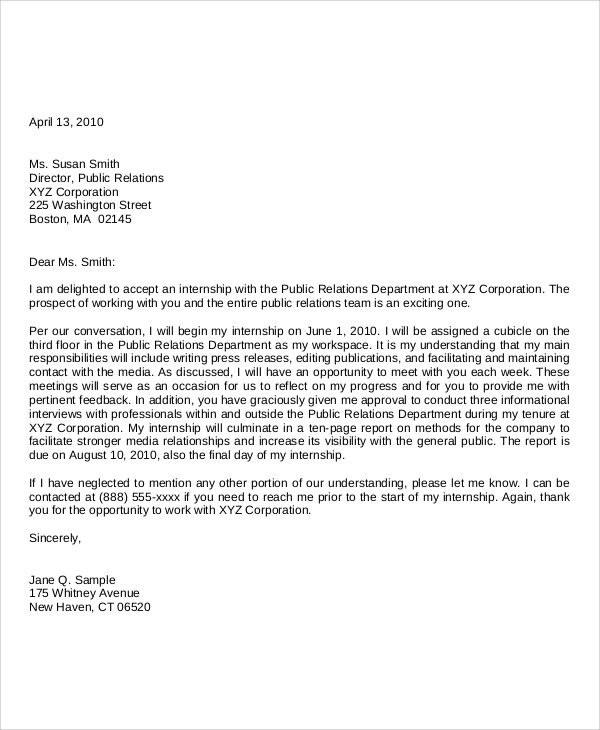 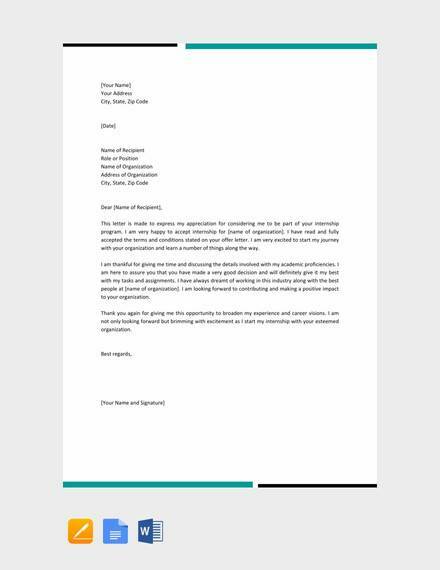 In order to offer such internships to the potential candidates, you can use this sample letter format. 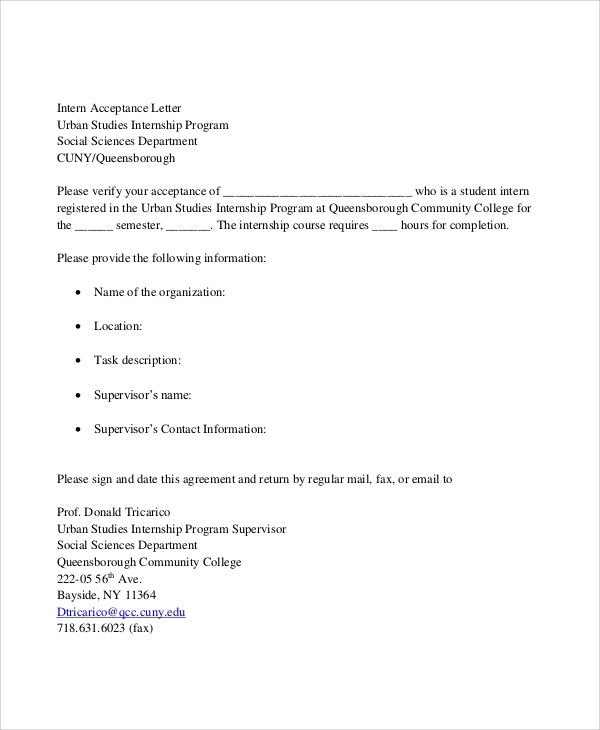 Who Sends Internship Acceptance Letters?